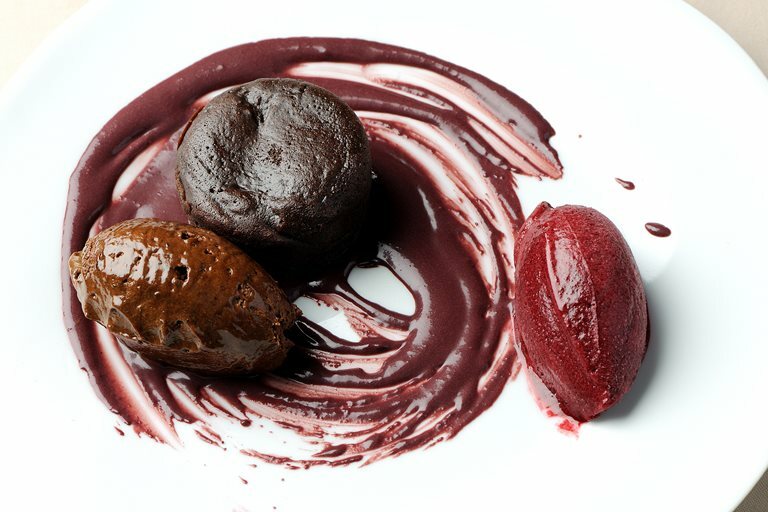 A chocolate pudding recipe from Pascal Aussignac is given extra richness with an array of co-stars in this recipe: lavender and blackberry sorbet, blackcurrant sauce and caramel and dark chocolate mousse. This is a rich and remarkable chocolate dessert for your next dinner party. The sorbet and mousse can be made well ahead of time, and can be paired with other chocolate treats.